Between 1938 and 1968 BBC broadcast on the radio classic Paul Temple series. About half the original recordings are now lost, but the scripts remain. BBC Radio 4 has been recreating the series, using vintage microphones and sound recordings from the period, to make as authentic as possible. Paul Temple and the Gregory Affair was originally broadcast in 1946. It is being re-broadcast as a ten-part series. Broadcasts are now held on-line for 30 days, which is an improvement upon 7 days, but there is absolutely no reason they cannot be held on-line indefinitely. Two girls go missing, their bodies are found, both girls strangled, one body caught in a fisherman’s net off Whitstable, the other in Paul Temple’s garage. The only clue: With the compliments of a Mr Gregory. Paul Temple series was also broadcast in Germany, where they were known as street cleaners, Straßenfeger, as they cleaned everyone up from the streets as people stayed home glued to the radio. 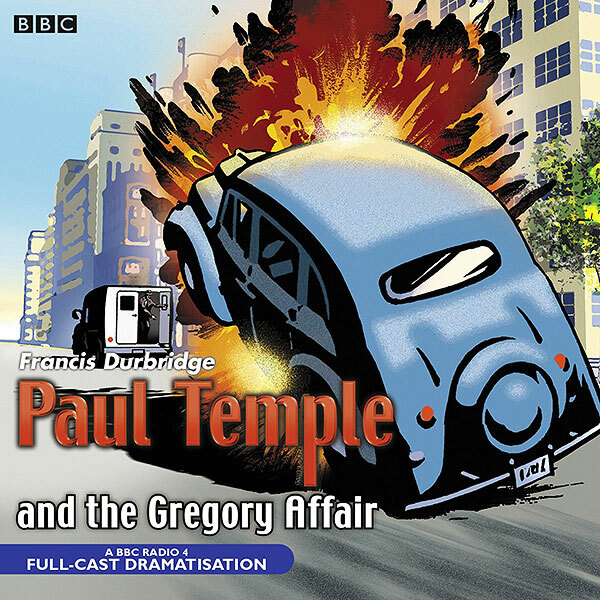 Paul Temple and the Gregory Affair, not only had the original recording disappeared but also the scripts of Episodes 1, 2 and 6. This new production is made possible by the recent discovery by a colleague in Norwegian radio of a complete set of scripts in an old store cupboard in Oslo. Radio Echoes has a number of Paul Temple classics available for download. You are currently browsing the archives for the drana category.